If you are all about DIY-ing, creating simple decorations can add a pop of seasonal colour to your home. Take that pair of rain boots you don’t wear anymore and turn them into planters - add bright floral arrangements and use your new decor item as an inviting piece by your front door. Neutral and sleek is all the rage right now, but adding a pop of colour in your normal decor can add a cheerful touch to your home. Swap out your kitchen napkins or tablecloth with something a little bit more colourful, like soft blues or pinks. Small changes can do enough to make your home feel different without being overwhelming. 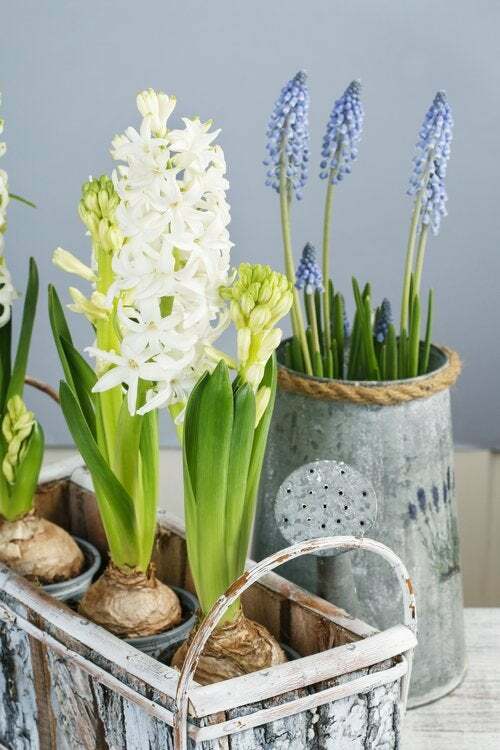 Whether or not you already include florals in your home decor, take the time to swap out or add something new that feels like spring. While fresh flowers are a great choice, consider picking up some faux florals for the majority of your decor and saving the fresh flowers for a centrepiece. Don’t be afraid to add pops of colour, specifically yellows and pinks, to create a focal point for the room.